For over 13 years, Castle Grange have been providing audio visual and data cabling services to the education and private and public sectors. After expanding over the last few years, we are now providing services to the residential market. MyKNXStore can advise you on the control of your home and the systems in it, from lighting control, entry control, blind control and energy control we can advise what products you need and who can design and install it for you. We also have a range of design led switches and sockets in natural finishes and architectural ranges to make your home unique. 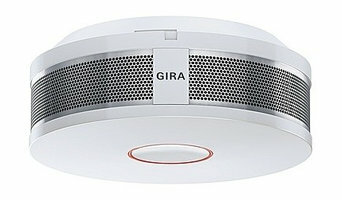 We can recommend the approprite wiring system for home control depending on your budget. When left untreated, the unfortunate fact is that the damp invariably becomes more severe and will eventually cause structural damage leading to higher repair costs in the long run.When diagnosed promptly the underlying causes of the damp in your home can be addressed and treated both effectively and cost effectively. When you first notice you’ve got a damp problem, that’s the right time to take action and call a damp proofing specialist. Newcastle Damp Proofing are a time served local damp proofing company specialising in all aspects of damp treatment and remedial repair works. DFC Automation: Suppliers of Centurion automated and access control equipment. Here at DFC Automation we supply the whole range of Centurion Equipment, imported directly from South Africa and supplied to Gate Automation companies all over the UK. Centurion Automated Equipment is manufactured using the highest quality materials giving you the most reliable automated equipment on the market. Centurion's up-to-the-minute equipment incorporate the sort state-of-the-art features you would excpect from a market leading security product manufacturer. Their patented DOSS origin sensors, provide pin-point position control on both sliding and swinging gates, and most gate openers incorporate anti-crush sensitivity. DFC Automation has established good working connections with Centurion Automation in South Africa, and we solely import and distribute Centurion Automation Equipment as we believe it is one of the best types of automation equipment on the market. We offer a wide range equipment from motors to intercoms and barriers to key fobs. Not only do we offer a wide range of products, but we also pride ourselves on our high level of customer service and technical help. We aim to distribute your order the same day, to ensure you can continue your high level of service to your own customers. Never Give Up Newcastle is a 'Crystal Maze' themed live action adventure escape game based in Newcastle upon Tyne. You and your team must complete a series of challenges in order to escape each room and steal the treasure of King Tut. At 1st Choice Aerials, We provide best aerial services in Tyne And Wear .We have experienced staff that can take care our problem in a short span of time. We are leading aerial technician in Tyne And Wear as we provide best quality of workmanship.We provide highly experienced and reliable services to our customers.We covers the following area sector Thornhill, Ashbrooke, Sunderland, Hendon .Feel free to contact 1stChoiceAerials.com today and we can discuss your situations on 0191 510 1819 or 07813 780453. Bespoke designs, integrating technology into your home. What else can Newcastle upon Tyne, Tyne & Wear home automation companies do for me? Aside from the (now fairly widespread) smart thermostats that can be controlled remotely, Newcastle upon Tyne, Tyne & Wear home automation specialists can install your home with all sorts of technology and media products to help your home become as efficient and accommodating as possible. Not only can your heating be monitored and controlled using smart technology, but so can your other utilities and bills. Energy monitors tell you how much power you are using and timed or remote controlled adapters allow you to reduce the amount of electricity you use by making sure you only have items switched on when necessary. What home entertainment can Newcastle upon Tyne, Tyne & Wear smart home installers install? Home automation and smart technology is not just about making your home more energy efficient and secure, there’s also some fun to be had. Home media and home cinema installers in Newcastle upon Tyne, Tyne & Wear can kit out your home with the latest technology such as smart TVs, media streaming devices, speaker systems and smart home assistants. 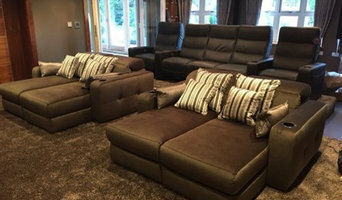 If you’re after the full home cinema experience, Newcastle upon Tyne, Tyne & Wear home cinema specialists not only can design the seating and decor for your dream home cinema, but most of them can help you find specific media control options, conceal your television and various accessories, set up optimal seating, choose and install ideal lighting, and help create the ultimate viewing environment. 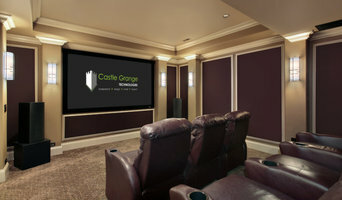 Find a home automation company or home cinema installer on Houzz. Narrow your search in the Professionals section of the website to Newcastle upon Tyne, Tyne & Wear home automation companies and home cinema specialists. You can also look through Newcastle upon Tyne, Tyne & Wear photos by style to find a media or technology installation you like, then contact the professional who designed it.